Going by a basis of 90 days correlation among the percentage reserve returns on daily basis of the crypto currency and that of Standards and Poor’s- 500 has become 33 % as per the data received from Nick Colas who is the co-founder of the data firm DataTrack Research. This is the highest game after the event when the crypto currency phenomenon has started getting traction from public in the December of year 2015 and had surpassed the previous high of 19 % which occurred in mid of January. An incremented correlation is expected going by the increasing interest of institutional investors to put their money in Bitcoin. Morgan Stanley has expressed this phenomenon in a different note by espousing the question if greater correlation between stocks and Bitcoin can cause the bitcoin to gain greater legitimacy among institutional investors or not? In the recent few days the performance of Bitcoin with relation to the United States stocks and shares seems to be incrementing to great extent. The analysis of Mr. Nick Colas has shown that during the previous two years the correlation was much lower than that of current level of 33 % when it was 19 % previously. Nicholas is one of the market strategist from the Wall Street who started writing about the Bitcoin from the very early days since its inception. Bitcoin has incremented its value by more than 2000 percent during the previous 12 months till the month of December in 2017 to reach the value which was quite above 19000 US dollars. This has caused immense attraction gathering from the institutional investors regarding its future prices and such other speculations. CME and CBOE which are the globe’s biggest exchanges in future trading had launched products based upon the future trading of Bitcoin in the month of December last year there by making it quite easy task for the investors who are institutional to catch this new age digital crypto trend. 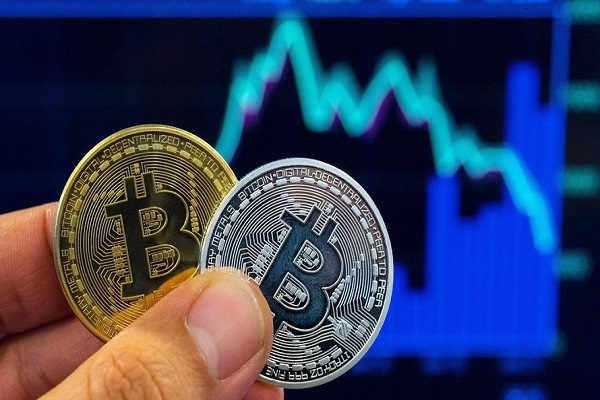 One of the main reason why institutional investors seem keen to invest in Bitcoin in particular and crypto currency in general is because of the reason that earlier there was no correlation between the Bitcoin prices and the stocks and shares growth in the US market. However, in the previous month of January of year 2018 we have seen that the markets of United States plunging and Bitcoin to not hold up and falling further to the price of Dollar 6000 per token. So monetary experts from Morgan Stanley have a speculated that the incremented interest of the institutional investors in the crypto phenomenon may increment the correlation between the crypto currency prices and the stocks and shares in stable markets. However this phenomenon has also given birth to rumors of correlation causing the death of organic growth in crypto currencies.